It can be hard to visualize how something will look in a space, and more importantly how the actual size will look and feel in a space. Measure out where the piece in question will go and adhere painter’s tape or artist tape, I’ve even used post-it notes. 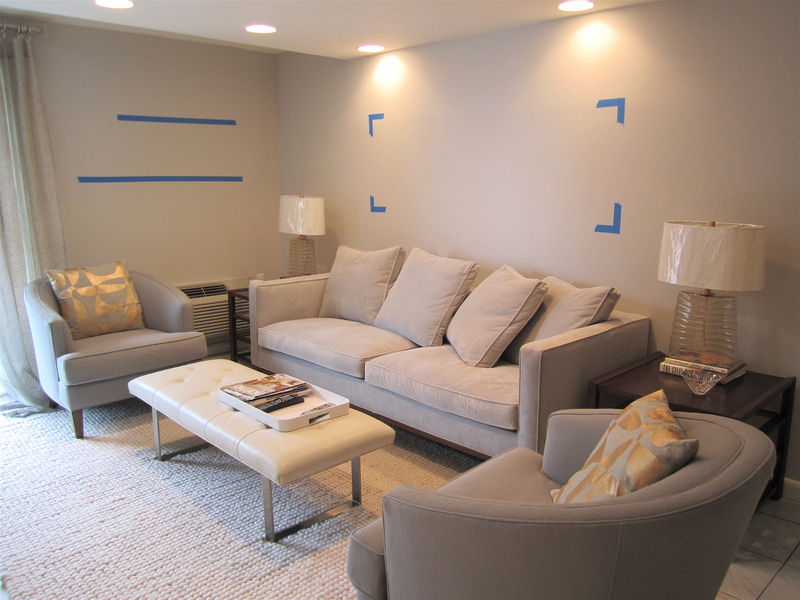 The pic above shows how my mother and I did this to see how an oversized mirror and shelves would look in her living room. This can also be done on the floor to see how furniture will fit.